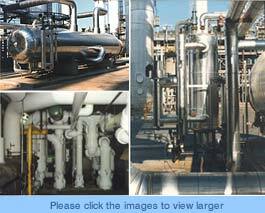 Consistent thermal and humidity management is crucial to our clients' operations. Master Insulation is committed to providing quality products and services so that you can maximize daily operations and minimize possible "down time." This commitment is what sets our company above the competition. We support our commitment with an inventory that is expansive in both depth and breadth thereby providing crucial equipment in case there is a systems failure. Our multiple locations through out the southeast allow us to provide services to meet your immediate needs during operational emergencies. Our conservative approach is also inherent in our corporate philosophy. From its inception, Master Insulation's corporate growth has been steady and measured making us one of the industry's leading providers of insulation products and services. Along with consistent growth, our fiscal prudence has resulted in our Dun & Bradstreet rating and bonding capacity as required. Master Insulation is licensed to provide products and services throughout the Southeast.